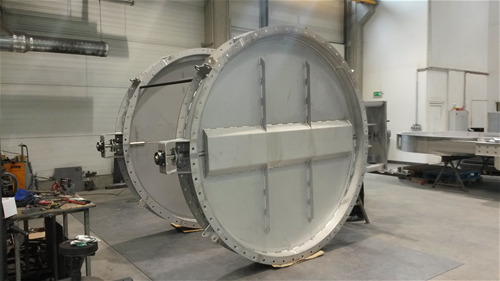 DTL provide expert damper solutions worldwide. 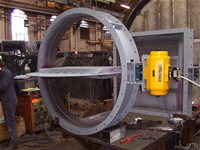 DTL provide expert damper solutions worldwide. From offices in the UK, subsidiaries in India & North America and through a network of agents/licensed manufacturers we offer a wide range of damper products including Butterfly Dampers, Multilouvre Dampers, Flap Diverters, Stack Dampers, Inlet Vane Control (IVC's), Guillotines and Acid Plant Dampers. Brands: DTL, industrial dampers, dampers, butterfly dampers, multilouvre dampers, diverters, stack dampers, poppet valves, guillotines. 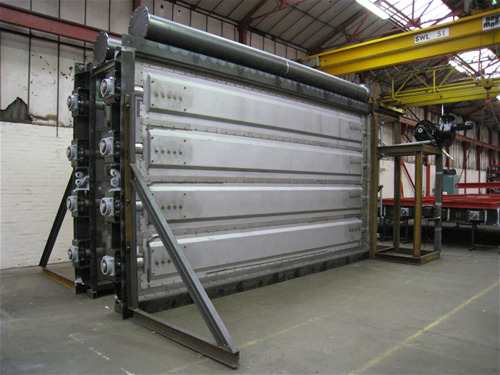 DTL Multilouver/louver dampers are used in a variety of industries and applications including Fossil Fuelled Power Generation, Tunnel Ventilation, Gas Turbine / HRSG and Gas Cleaning Plants. 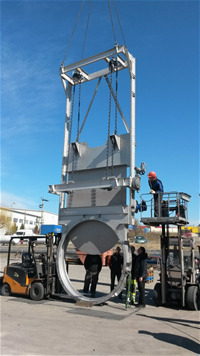 Temperatures can be accommodated from -55 Deg C to in excess of 600 Deg C. Pressure ratings can be in excess of 1500mm WG. Multilouver/louver dampers can be supplied in various sizes from approx 1 square metre up to approx 60 square metres and will form an effective method of controlling and isolating most duct media. 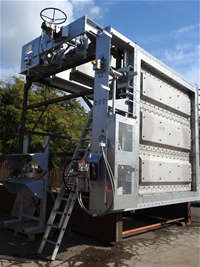 Dampers for Gas Cleaning systems can be manufactured in a range of materials including carbon steel, stainless steels and exotic alloys such as C276. As an alternative to a flap diverter, multilouvre dampers can be built into a T-Duct section and linked to provide an effective inlet/bypass solution. These can be incorporated with a guillotine to provide a fully integrated inlet/bypass/isolation solution. Seal air systems can be added to provide 100% sealing efficiency. Various sealing arrangements can be incorporated, from simple metal/metal ledge seals to full twin flexible Inconel seals. DTL have now launched a Standard Range of Butterfly Dampers available for quick delivery, in a variety of materials, for all applications that require a shut-off of up to 99%. The new range, which are powered by Rotork actuators, are available in diameters ranging from 200mm to 1200mm (in increments of 50mm) and are designed for maximum operating pressures of 500mmWG, in 3 temperature ranges to accommodate operating temperatures of up to 600 Deg C.
DTL Guillotine dampers and blanking plates can be used in any application where a positive isolation is required for routine maintenance and/or entry to a duct behind a media source. 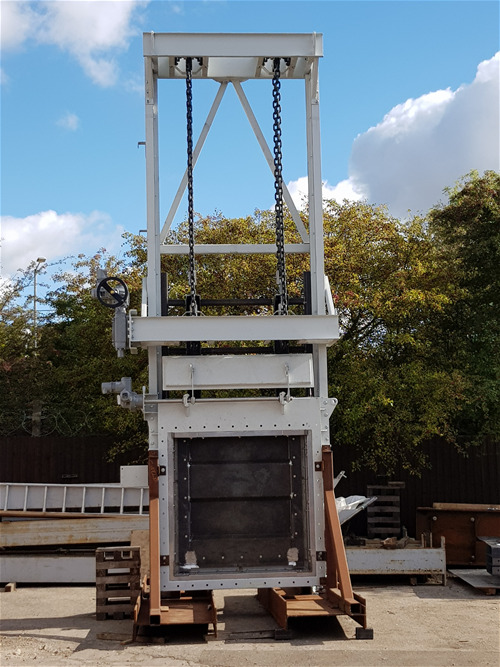 Our guillotine designs have a record of proven reliability on major UK and overseas power stations as well as offshore installations. Actuation can be manual, pneumatic, hydraulic or electric, with various designs to suit all budgets and specifications.